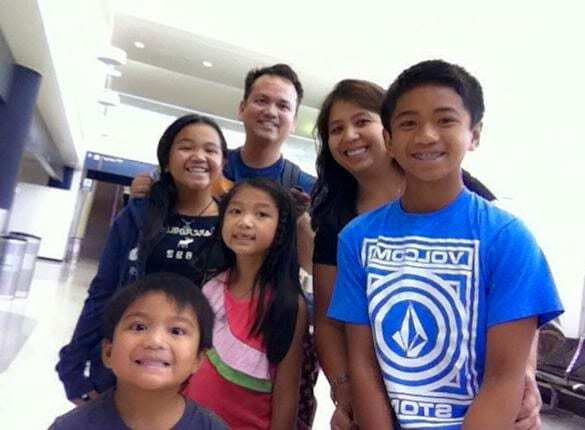 The summer of 2014 has been an exceptionally busy summer with my family. This summer has been plagued with non-stop activities – with my back to back business trips (New York, North Carolina, New Jersey, Pittsburgh), Ethan’s grueling football practices, Evan’s Kumon, summer program with Creative Arts Workshop for Caitlin, Madison, Evan (with Ethan as a teen helper), and our church’s numerous centennial anniversary celebration events. Super duper busy indeed. Early in the summer, we did take Ethan and Madison to New York, but we left Evan and Caitlin at home. We haven’t had a chance to take ALL of us on a getaway so all throughout the summer, Nancy and I kept tossing around many ideas, perhaps a San Diego getaway, a weeklong cruise to Mexico, a road trip to San Francisco and Napa Valley, a return trip to Vancouver, or perhaps, spend a few days in Bass Lake. It wasn’t until the end of July, while Nancy and I were in New York, when we decided to go back to Hawaii. We were on Oahu back in April for Spring Break, so our choices this time were between Kauai and Maui. The latter got the vote since the last time we were on Maui was back in 2005. We were on the island of Kauai 3 yrs ago. This is Ethan’s last year in middle school and he decided to play football before high school. He has been practicing all summer-long, and the thought of missing practices and a game just didn’t fly very well. Ethan wasn’t thrilled about missing, so I decided to take it upon myself to call Ethan’s coach and get his advise. I was willing to respect Ethan’s choice to stay, however, without hesitation, Coach Ron said that family comes first, and that we should go and take Ethan with us on vacation. And I did just that….I remember exactly where and when I booked our tickets, Nancy and I were in Greenwich Village hanging out at Molly’s Cupcakes. That’s when we finally booked our tickets to Maui. 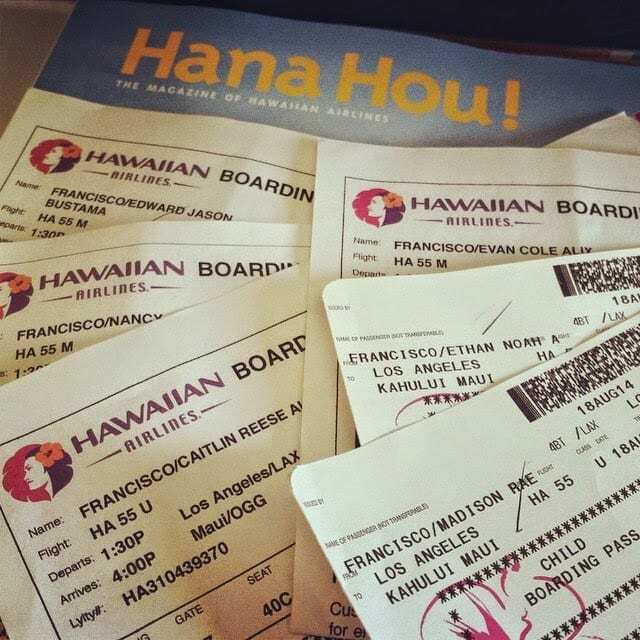 Six tickets altogether…Maui here we come. The next 3 weeks prior to our Maui trip was still eventful. I had another business trip to Pittsburgh, and my workload just kept getting bigger and bigger. I couldn’t see past all of my trips, meetings and conference calls, and work fire drills. In fact, on the day that we left for Maui, I still managed to juggle work and ran 3 very early morning conference calls. After my last conference call, that’s when it finally hit me, we’re getting Maui’d!!!! Our flight was scheduled to leave at 1:30pm from LAX. We planned to leave the house at 9am (nice try). We ended up leaving close to 10am. We hit a little bit of traffic on the 405 fwy (not surprised), and by 11 am, we made it to LAX. There’s 6 of us, 6 carry-on luggage (no checked-in luggage), 3 backpacks, and 2 booster seats. 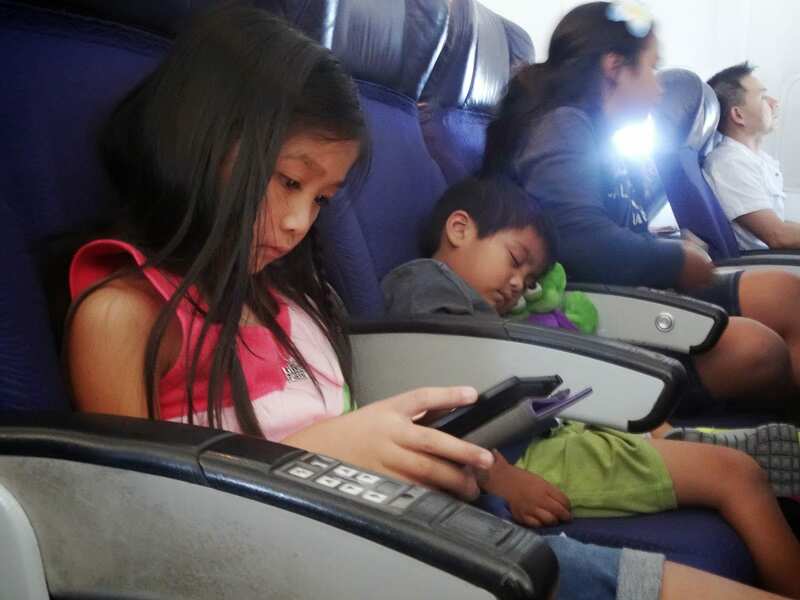 Our Hawaiian Airlines flight left on schedule, and we found ourselves sleeping on and off during our direct flight to Maui. For some reason, as much as we visit Hawaii quite frequently, today’s flight felt longer than usual, or maybe I was just too anxious to get to Maui. 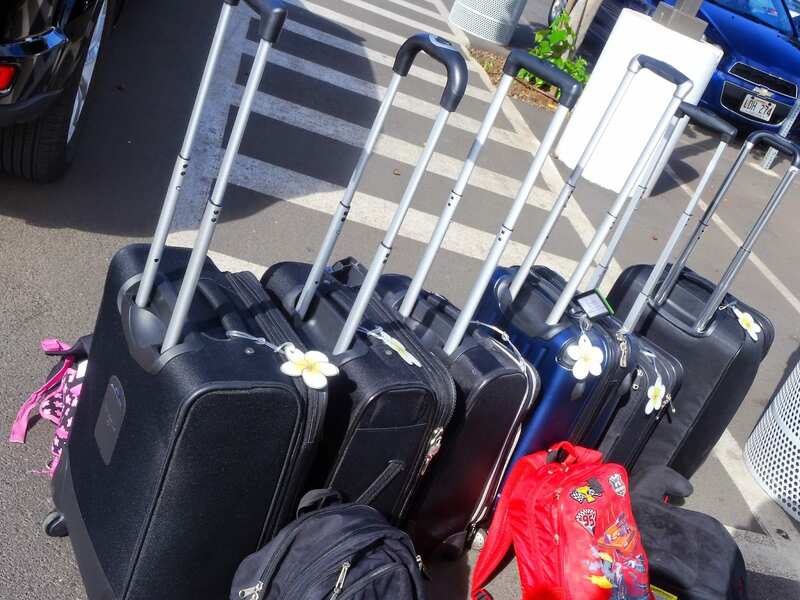 In any case, the flight was smooth, no rough patches, and we arrived in Kahului Airport before 4:30pm (local time). Since we didn’t have to go to baggage claim, we headed straight to the Alamo shuttle and picked up our Chevy Tahoe. I’ve never driven a Tahoe or Suburban or an SUV of that size. It’s huge. I felt like I was driving a boat. But hey, we’re on vacation….try something new, I said! First order of business, FOOD. 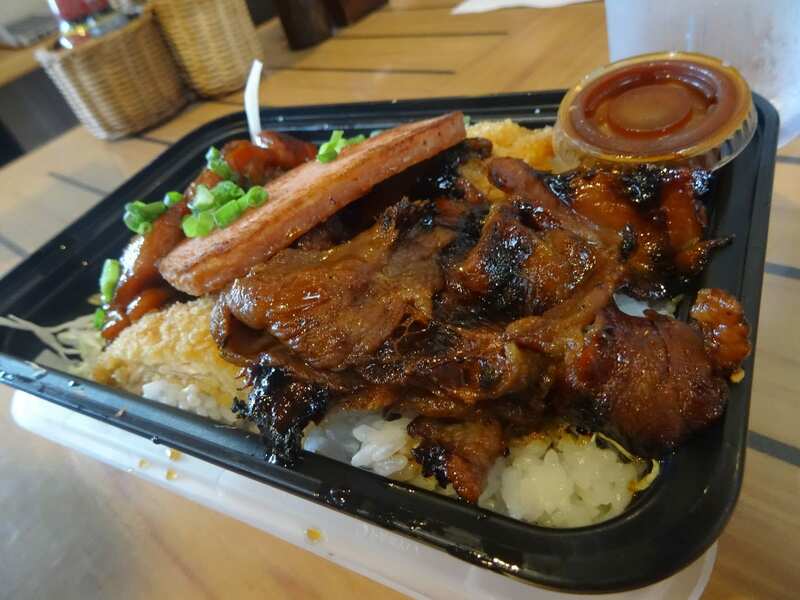 If you know me well, you won’t find me eating at some franchise restaurant that you’ll easily find on the mainland. So I asked the Alamo rep for directions to the Da Kitchen (a very popular local restaurant on Koloa St). It was within a few minutes drive from the airport. 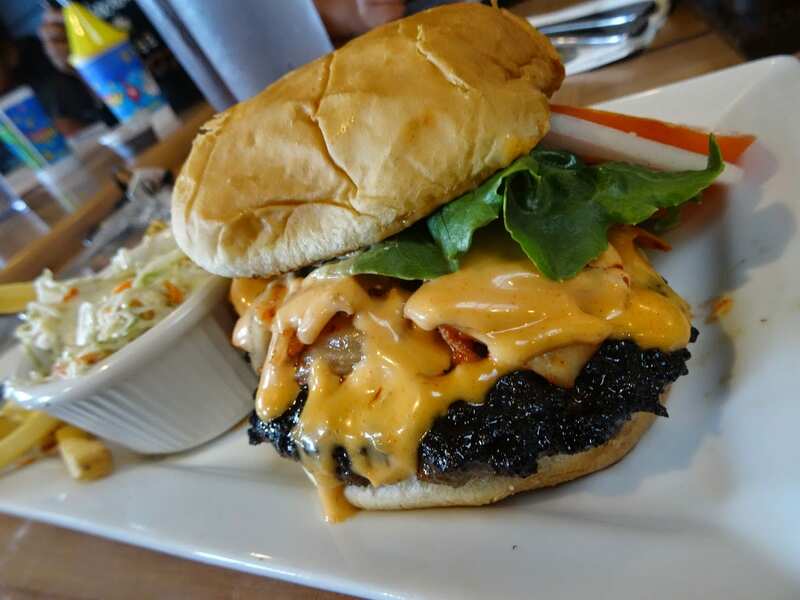 I ordered Kimchee Teriyaki Burger, while Nancy and the kids shared 2 orders of Mixed bento. Portions were huge – good enough to share. We didn’t want to eat too much, just enough to get through our late afternoon hunger. 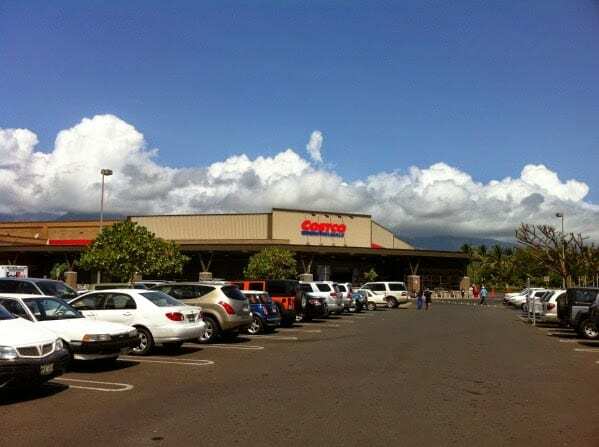 No, we didn’t go Haleakala or Hana…yet….I’m referring to Costco and WalMart!!! 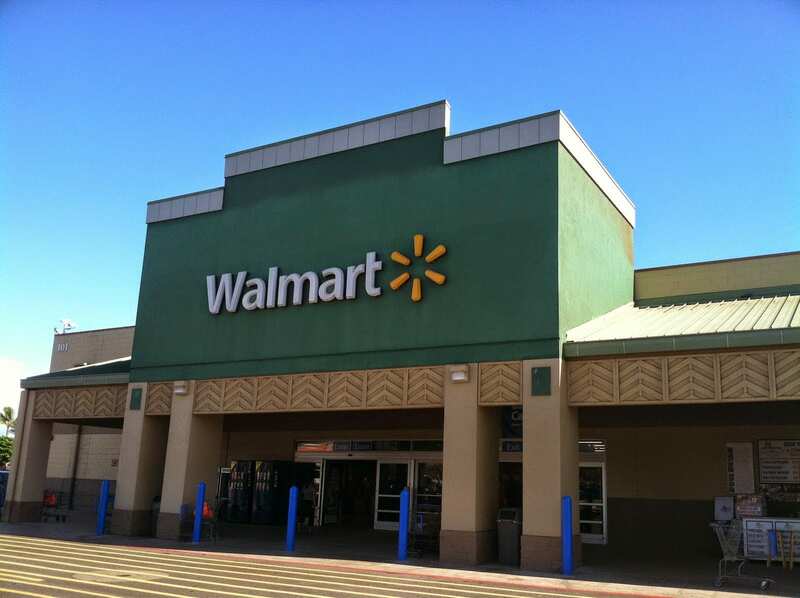 It’s like a rite of passage, a must-do activity whenever we go to Hawaii. We stopped by and bought a few necessities that we will be needing for our 9-day vacation. While we plan to enjoy local island food, we still plan to eat in our condo when we’re not driving around the island. The last time we were on Maui (about 10 years ago), we stayed in a hotel room/suite in Kaanapali at the Sheraton (Black Rock), and the Embassy Suites. We only had 2 kids then. The room did not have a kitchen, or washer/dryer. Knowing that we will be on Maui for 9 days, I opted to look for a condo. For this visit, I wanted to stay in another location and I chose Kihei on Maui’s south side. For the first time, I used VRBO.com and booked a 2-bedroom condo (Maui Parkshore) that is just across the street from Kamaole III Beach. By the time we arrived at the condo, the sun had already set, so there was no point in rushing to catch the sunset. We’ll catch it tomorrow. Althought it was already dark, it was still very hot and humid. The moment we unloaded our luggage and groceries, we all changed, and jumped in the pool. The pool was warm….it was just a perfect way to end our first few hours on Maui. We’re very tired from today’s travel, and are looking forward to a good night’s rest. Who knows what tomorrow will bring…..we’re on vacation….we’ll see where the tide takes us. No itinerary…just the way I like it.This is all for now….good night…and mahalo. Right on, brother! Any questions, let me know! I love Maui!! !